Summer reading, in our opinion, is vital to a student’s success in school. All children need to be encouraged and given the tools to read each and every day during their summer vacation. In many states, budget shortfalls have led to a drastic shortening of library hours. I wonder how this impacts children that do not have book collections at home or that do not have sufficient money to purchase books new. 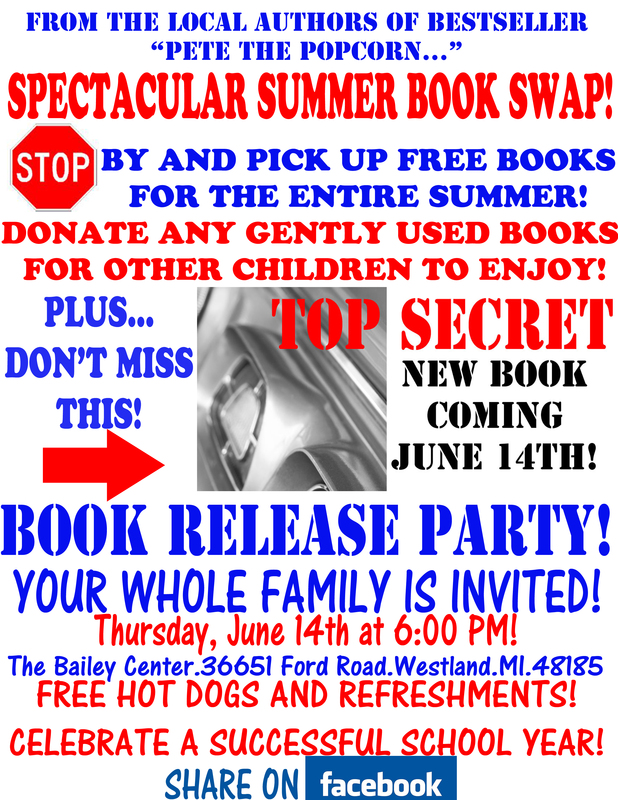 As you may know, we are having a book release party on June 14th for our new, TOP SECRET book! We’ve decided to take this party one step further. Thus was born the Spectacular Summer Book Swap! Here is the deal: all children are welcome to come and receive a few books from our rescued stash. And, if families have gently used books that they’d like to grant a second life, they are welcome to bring those and share them with other students at this event on June 14th! The Bottom Line: every kid is going to be walking away with several books that are new to them, which will allow them to continue working on their reading skills all summer long. If this all happens to be a success, we will do it again next year… and maybe even expand it to include both authors’ home towns. In fact, I would like to see these spring up in towns all across the country. If you live in the Detroit area, or have friends or family there, please share this information with them. Bucket List! Another one bites the dust! So back on December 30th, we talked about one of my Bucket List items for 2012. As you may recall, I created a bucket list of items that I want to complete, not just before I die, but THIS YEAR! Number FIVE on my list was to go on a NEW CRUISE. 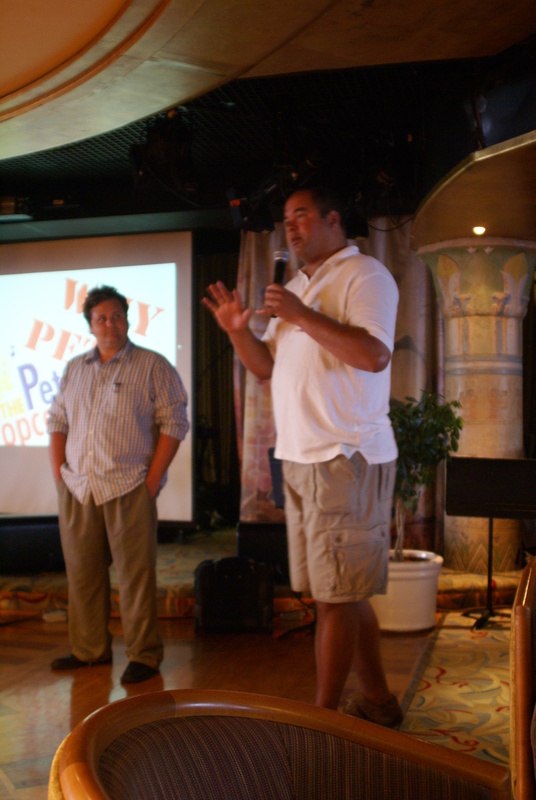 I’m a cruise person– I’ve been on a ton of them and I want to continue. There’s so many diverse things to do, so many great people to meet– and countless awesome destinations to visit. So my goal was to complete a cruise that saw some new ports. I’ve done the Caribbean. I’ve been to Mexico and forgot half the visits. Panama Canal was fantastic… but it’s done. So in 2012, I wanted to do something NEW! 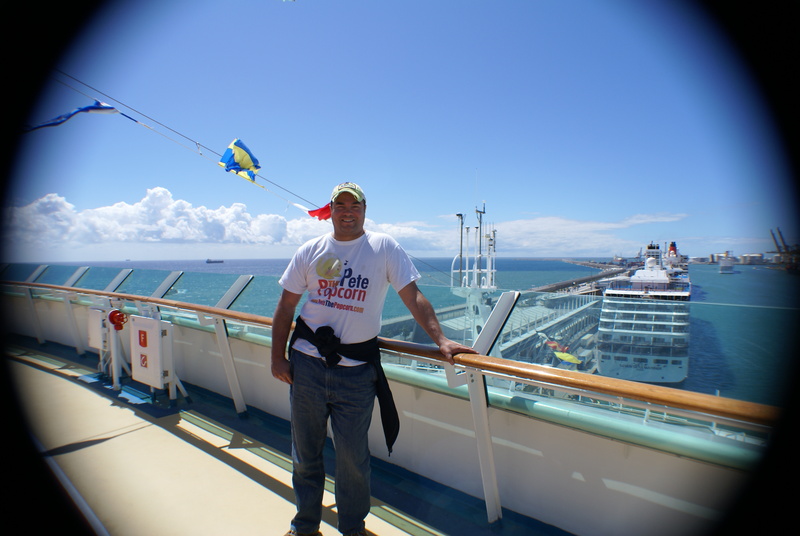 I’m very happy to report that I was able to scratch another item off the Bucket List for 2012… because I just returned from a cruise that sailed between Barcelona, Spain and Dubai, United Arab Emirates. I’ve never been to Europe. Never been to the Middle East. Never sailed through the Suez Canal. And never fought off pirates. Until now. Well, maybe that pirate bit was an exaggeration. Whatever. So we left Barcelona on a clear day. Here we go! Joe, you can throw that jacket in the luggage… you’re not gonna need it. And then we were off! First stop: Alexandria, Egypt. We will go into more detail later this week… but we saw the pyramids. And had no other excitement. 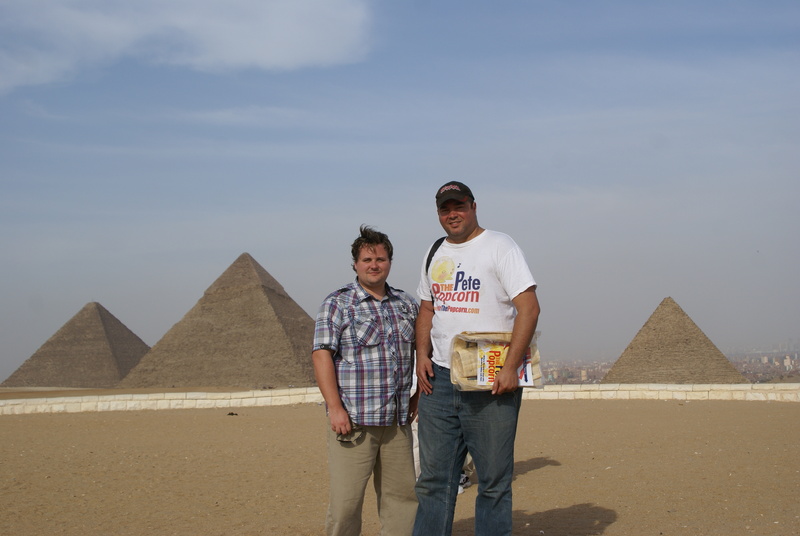 The authors at The Pyramids of Giza. 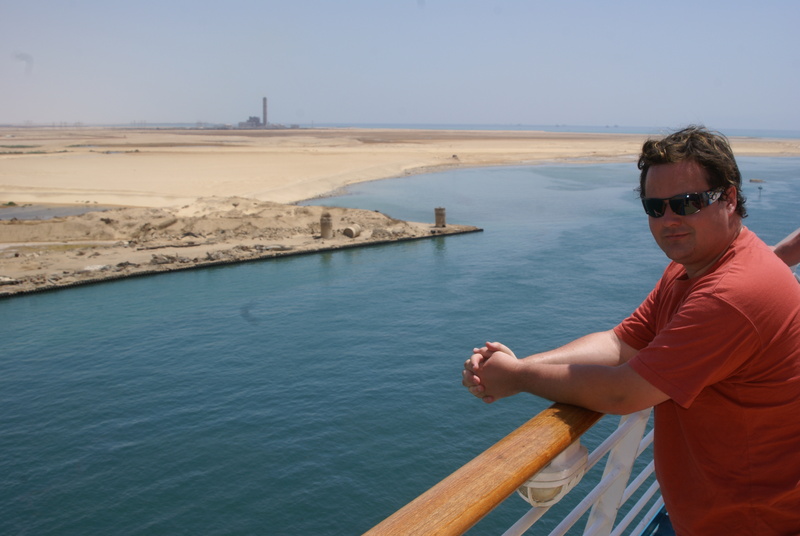 After that, we went through the Suez Canal. Nick makes this pose at every canal, apparently. Nick and Joe with their new friend and dinner mate, Jennifer. After Jordan, we were back to Egypt! Docking in Safaga, we took a day trip to Luxor. 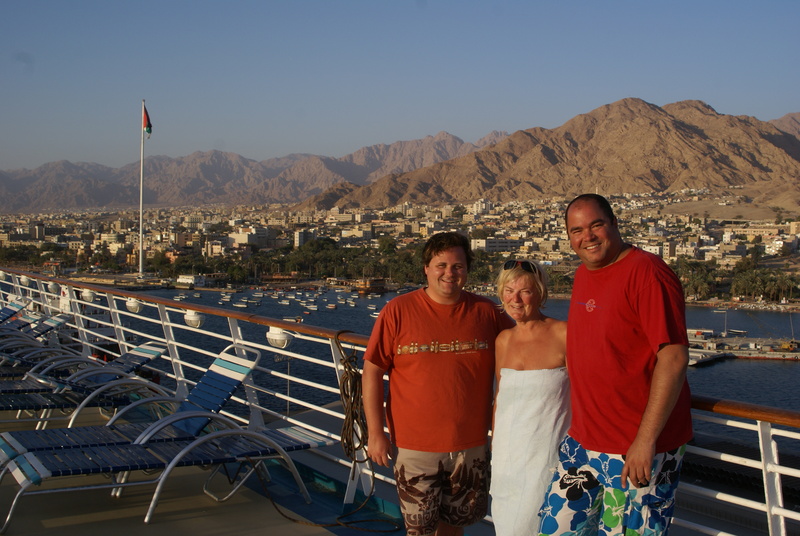 Valley of the Kings, a cruise on the Nile, the Karnak Temple. It was a very moving day. 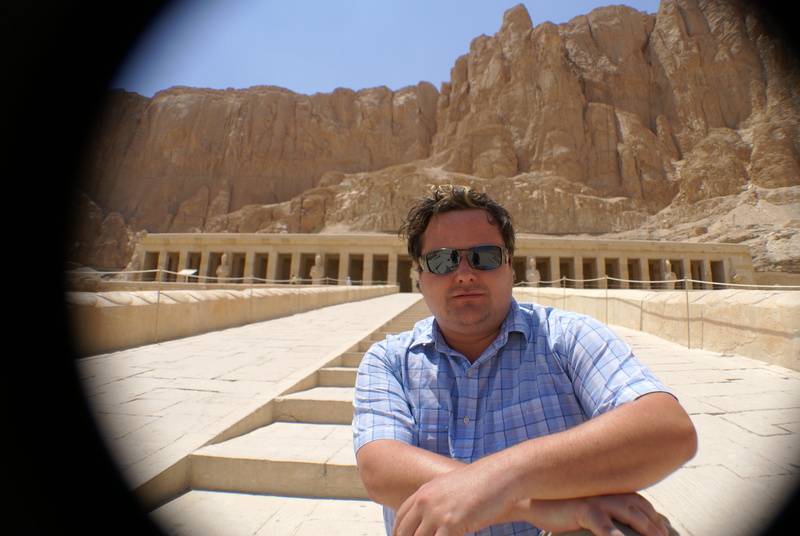 Nick on the steps of the Hatshepsut Temple in Luxor, Egypt. Finally done with port calls, we had six wonderful days at sea. Days at sea is when the trouble begins. 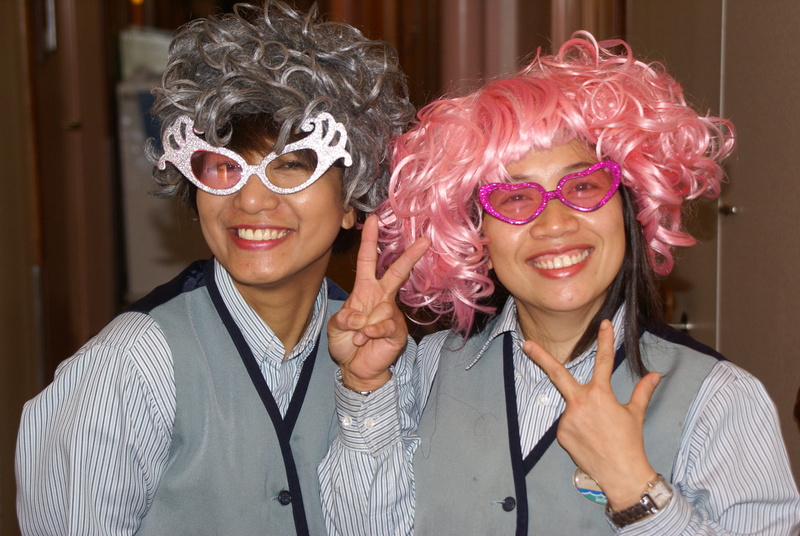 For instance, we make the housekeeping staff put on wigs. All in good fun. We disembarked in Dubai and took a city tour before heading to the airport. Of course, we took the obligatory photo at the Burj Al Arab hotel. 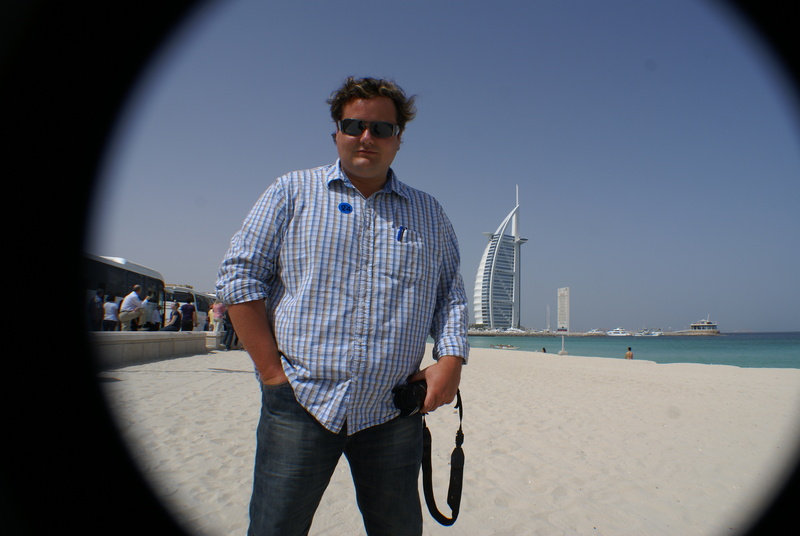 Nick at the Burj Al Arab. Anyone wanna loan me a grand to stay there for the night? It was a great trip and we will definitely be going into more detail over the coming days. More stories. More photos. More fun. At least I hope. Whoa! This means I’m over halfway there? Awesome. Don’t forget— our new book arrives on June 14th at Amazon.com and via our BOOK RELEASE PARTY! Find out all about it! Sorry for the delay in posting… but your authors have been… away. We’ve just returned from a 15 day cruise from Barcelona, Spain to Dubai. It was a vacation… sort of. No vacation is a real vacation when it comes to us. You see, we spent lots of time working on a book for adults regarding encouragement. And then of course we were taking notes and photos to share with you here on the blog. Finally, we were busy reading our book Pete the Popcorn! 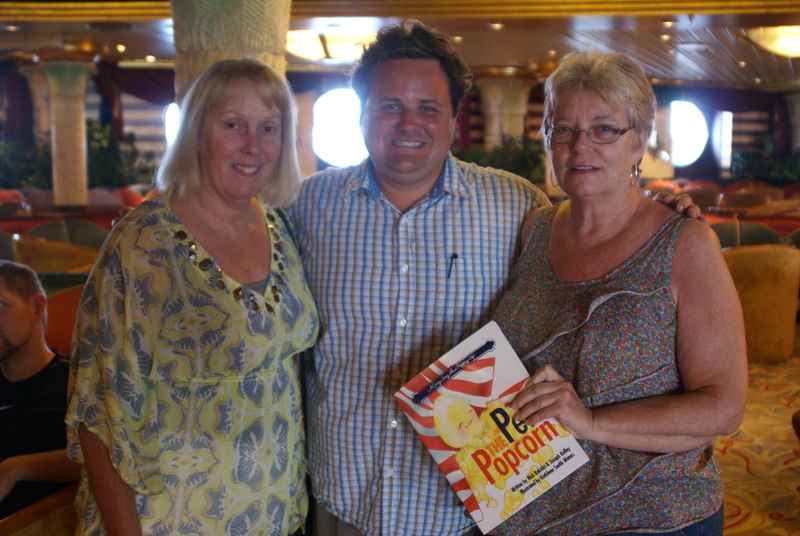 Yep– Royal Caribbean International heard about Pete the Popcorn and took advantage of our talents. They hooked us up with a lounge, a screen, a projector and a microphone. As dangerous as that sounds, we had an excellent turnout. Both children and adults enjoyed hearing the story and speaking to us about our pro-encouragement, anti-bullying efforts. We were shocked how much effort RCL put into promoting the event. We were featured in the Cruise Compass, on the morning television show, on the activities station on the ship– and they even made an overhead announcement for the entire ship to hear! 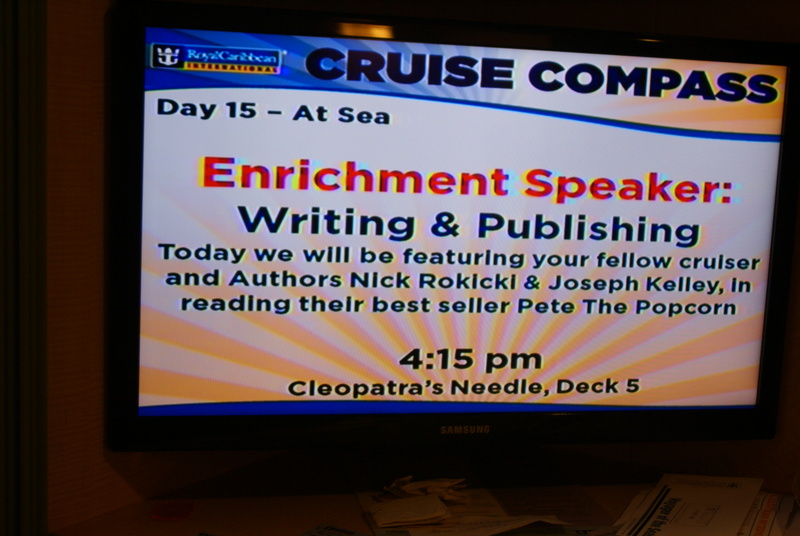 Here it is– the ad for our very first cruise ship reading!! We’re getting ready for the reading! 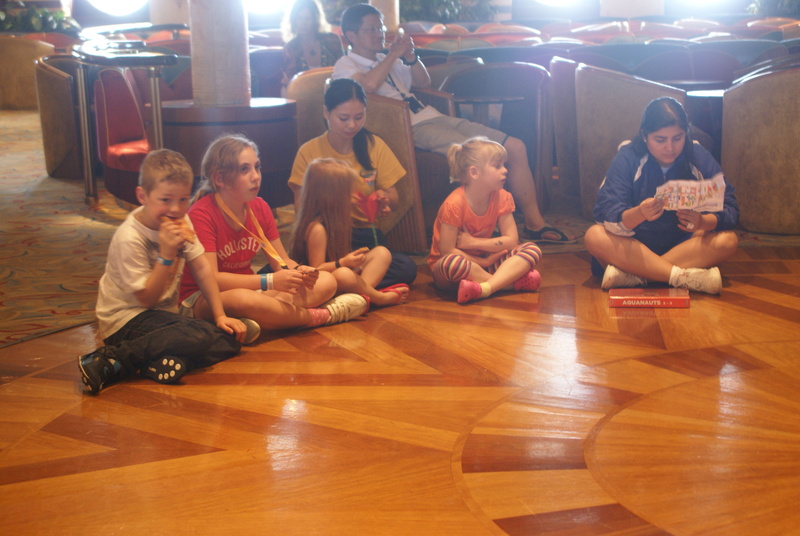 The Kids Club on this cruise was sparse. Quite an older crowd. But the kids that did attend were AWESOME! Nick holds the mic like a pro. 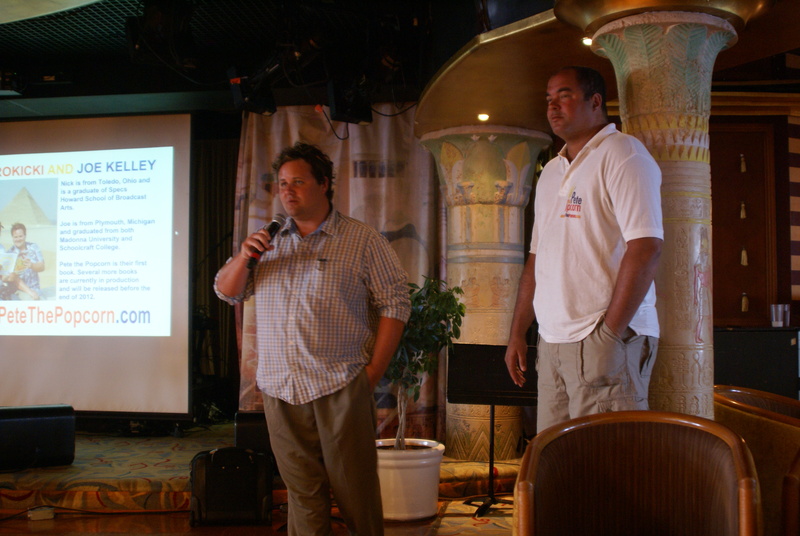 And Joe tells the crowd about why we embarked on Pete the Popcorn. Nick became fast friends with Nancy and Joanne. They hung out every night at the Schooner Bar… where the piano player sung us a song, because he was the piano player. 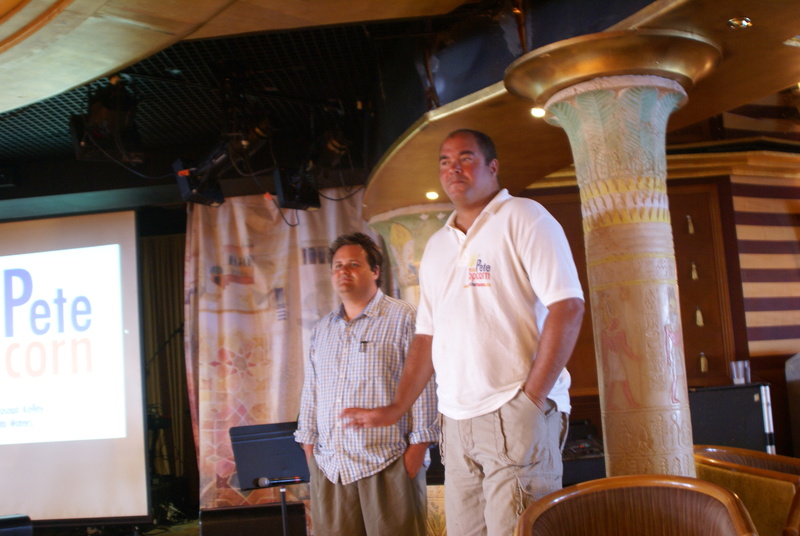 So now we are busy putting together a creative writing and publishing seminar for cruise ships. If we can do this once a month, hook us up. It was fun getting Pete the Popcorn out to a diverse group of people from all across the world. If some new readings come from this, it would be great. Folks, don’t forget that our new book comes out on June 14th! We are having a very special release party on that date and you’re invited! You can find out all about it here! We will talk to you tomorrow with some cool stories about our cruise!